BIG WAVE surfer Garrett McNamara has driven around the world in search of the next monster break. The American keeps breaking records for surfing the largest waves - he rode a 30-metre beast off the coast of Nazare in Portugal, eclipsing his previous mark of nearly 24m set at the same break. Many people would be familiar the image of McNamara, a minuscule figure, slicing down the face of a giant wall of frothing water. But what is almost as entertaining is the journey in search of the swells. 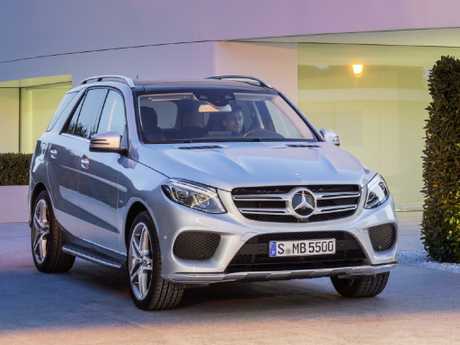 McNamara gets around his home state, Hawaii, in a Mercedes-Benz GLE550 - thanks to his role as an ambassador for the German brand. The seven-seater SUV suits McNamara just fine, lugging the family and friends around while also pampering the extreme waterman with its massage seats. 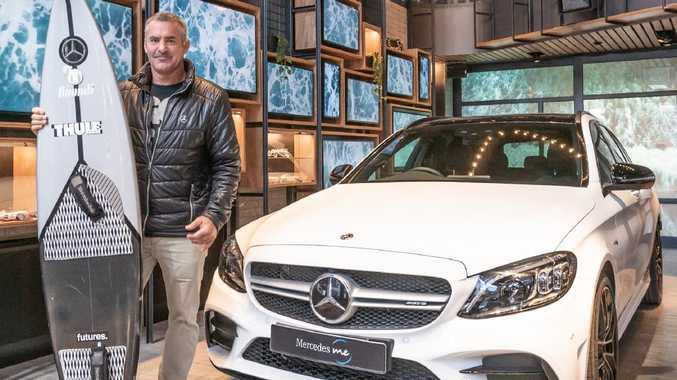 But before jumping on board with Mercedes, McNamara had already bought a Benz G550, with the big tough off-roader filling the dual role of family hauler and surfboard lugger. 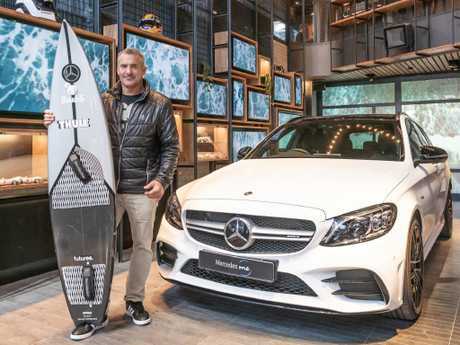 Initially, McNamara's cars were much more humble but his passion for surfing has always given priority to vehicles with interior space and the ability to fit in a collection of surfboards. 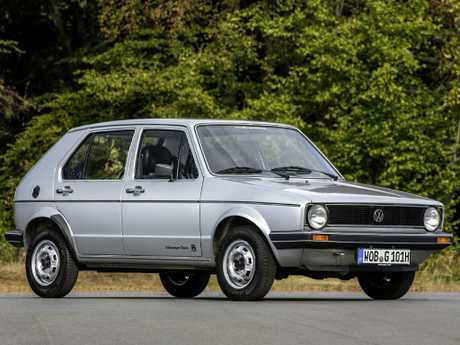 Among his first cars were a Toyota Celica hatch and a Volkswagen Rabbit. "Both had hatchbacks so I could fit my boards in there," McNamara says. 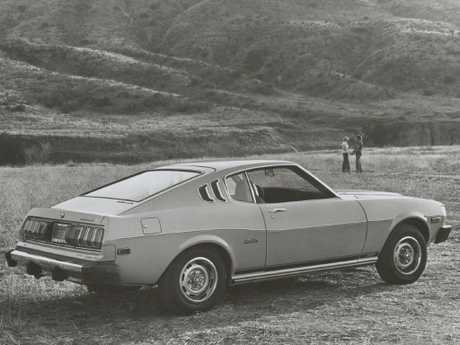 Those earlier cars ferried McNamara around the US to his favourite surf spots. Then there were memorable experiences as he travelled the globe. "One of my favourite road trips of all time was here, in Australia, in Western Oz," he says. "Five of us piled into the car, and I want to say at least 20, maybe 30 surfboards on top. It was crazy, it was piled so high. And we just travelled around surfing." In Portugal, the world's biggest waves weren't the only perils McNamara had to face. He says the most challenging thing to deal with is on the roads - tailgating drivers who "ride your arse like you've never been ridden". "Even if they aren't trying to get you to move over they'll still try and ride you and if there is a one lane road, everyone will ride so close. It's scary. [But] there are very minimal accidents - I don't know how they pull it off." McNamara reckons the craziest place he has ever driven is Indonesia. "The rules are: No.1 is size matters, No.2 is see no chicken - that means no matter what you hit, keep going - and No.3 is never look back," he says. But when McNamara is back on home soil, an all too familiar pet peeve pops up. His chief annoyance is what he calls "the Hawaiian roadblock". "It never happens in Europe, and I'm not sure how often it happens here in Australia, but in Hawaii and all over the United States nobody knows what a fast lane is," he says. "And nobody knows that the fast cars go in them and the slow cars go in the other lanes. "They stack them up and on a three-lane highway there will be three cars side-by-side not letting you by."